On February 26, 2014, NASA announced the discovery of 715 new planets bringing the confirmed count of planets outside our solar system to nearly 1,700. Four of the new planets lie within the habitable or “Goldilocks zone” which is the range of orbits around any star where it is neither too hot nor too cold but just right for liquid water to exist on the surface. This is considered to be an essential condition for life to exist. NASA was able to confirm these planets through the Kepler space telescope which was launched in March 2009. The Kepler is the first NASA mission to find potentially habitable Earth-size planets. 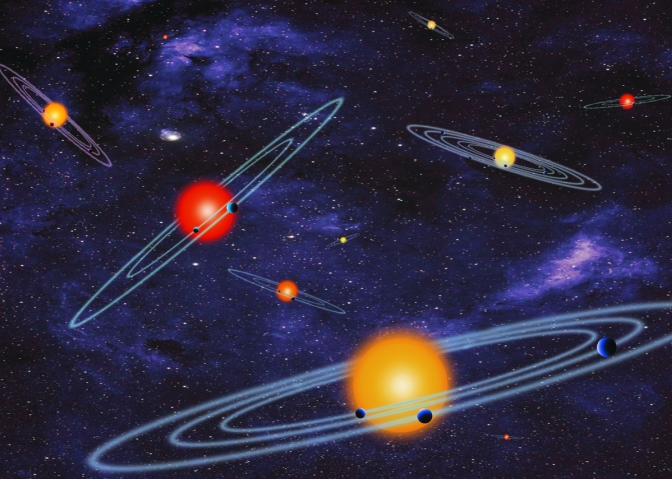 The new planets were culled from 3,601 candidates previously found by Kepler, using a new statistical technique known as verification by multiplicity.